Monday, the day between Sunday and Tuesday that accordingly to the Hebrew calendar constitutes the second day of the week. Personally Monday constitutes the first day of my week, as it determines the boundaries of time within which I have to fill all these responsibilities in order to maintain/create my socio-economic component of a being, in the hierarchy of society. I managed to drink more coffee today than in the last six months right before my first mock-trial, which went relatively well considering I held the opening statements and claims. In this case LEGO brought claims against the artist based on copyright, trademark and design infringements. The case was interesting, and intellectual property law is more fun than it sounds. At the end of the trial, the “judge” stated that the LEGO sets were sold to art collectors hence not in a competing market, whilst I couldn’t avoid thinking “and really horrible parents…”. Turns out some of the facts of our fake case are real, and an artist actually did create these LEGO sets, as he wanted to bridge the gap between reality and the utopian version of what the world looks like, that is marketed to kids. 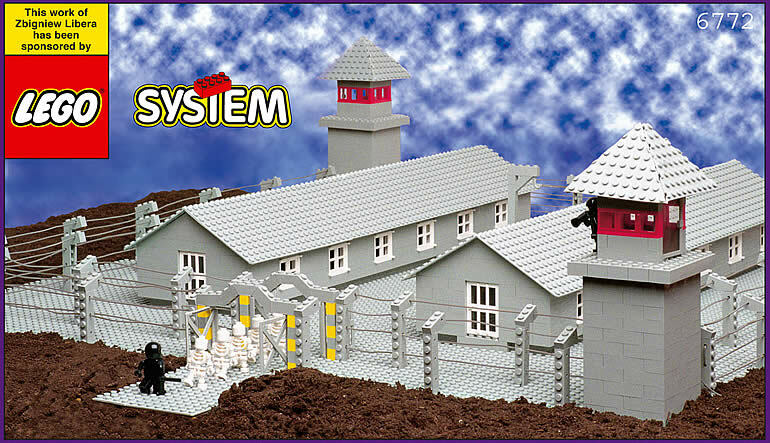 I think LEGO concentration camps is a bit over the top though, but they look insanely like the real LEGO deal, and in the real case LEGO dropped all claims due to the publicity it received.